In our spare capacity we offer a camping experience with a difference for those seeking affordable holiday accommodation near Salcombe. After your journey down to this delightful part of the South Hams peninsular, why worry about pitching your tent or even cooking the evening meal? Let us do all that for you! 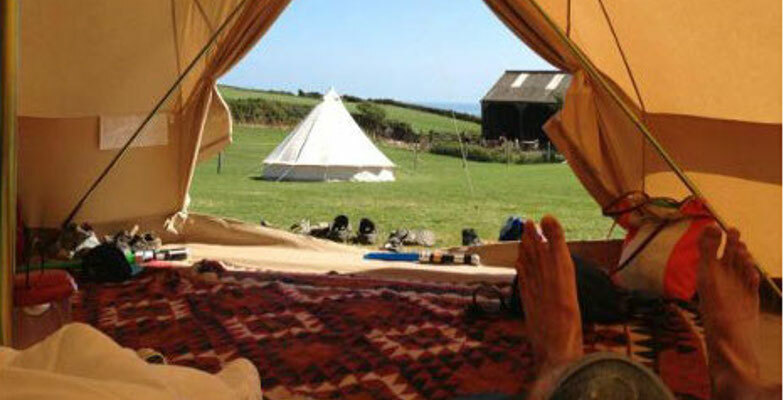 Arrive to a pre-pitched bell tent with outdoor chairs, lanterns, and comfy mattresses. Bring your own bedding. 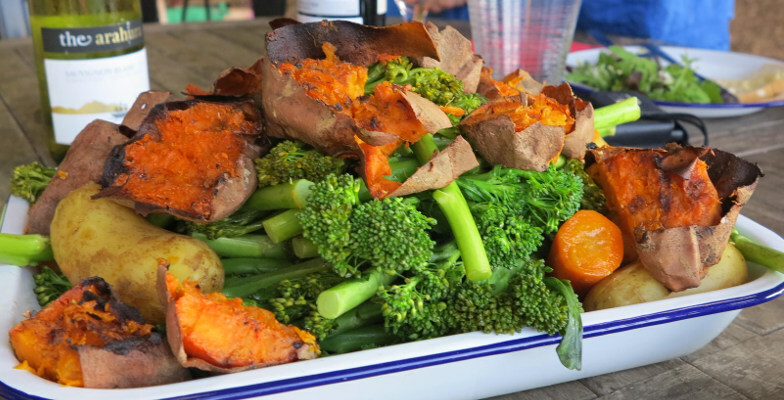 Half board is included, with breakfast in the Walkers' Hut and an evening meal cooked on open fire. We start breakfast with a healthy and super tasty variety of cereals, yoghurt, fruit, variety of bread and spreads. All our produce are sourced locally with all our meat provided by our local butchers. Most vegetables and salad are home grown in our veggie patch with our evening bread collected fresh from our local bakery every day. End the evening around the camp fire made in one of our fire pit areas, roasting marshmallows or just enjoying the glorious sunset. Safe environment for children with a small rustic playground, adventure trail, pet sheep, pigs, chickens, donkeys, pony, pygmy goats, cats and most loved Daisy dog. Help Schalk to feed the animals every morning and enjoy the ample space, fresh air and many walks on East Soar. We particularly welcome families with children that have additional needs. Although we are unable to offer a respite service we do provide an understanding and safe environment for children who have additional needs. If your child has a SEN statement or recognised equivalent we are now able to offer a 50% discounted rate per child. Please refer to our GIVING BACK section for more details. Lanterns, mattresses and outdoor chairs. 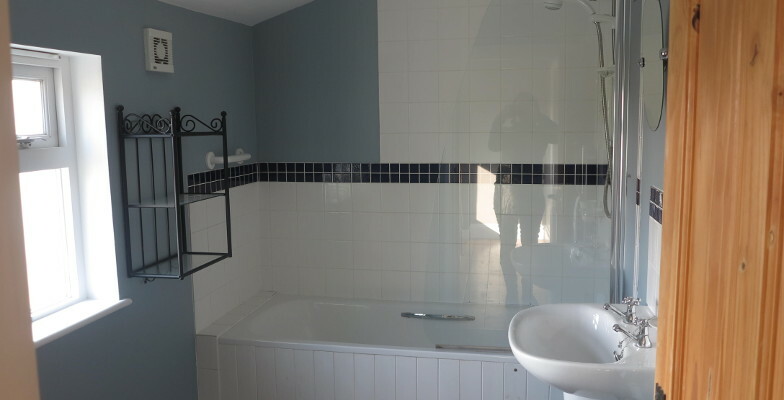 Purpose built ablution block with two flush toilets and two spacious electric showers. £40 per adult per night (including breakfast, dinner, tea and coffee). 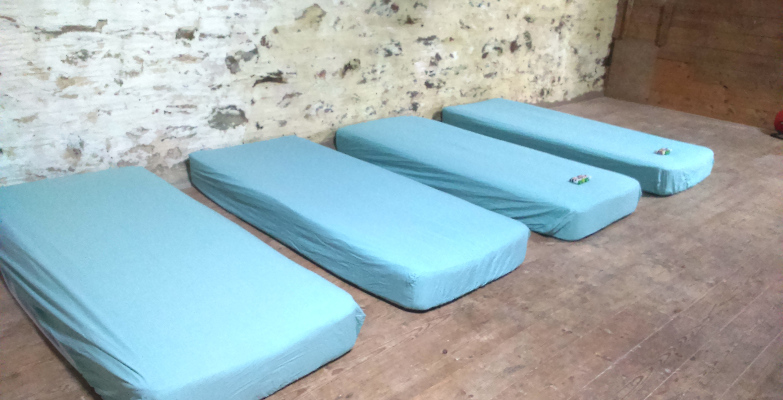 £30 per child (3 and up to 12 years of age) per night (including breakfast and dinner). 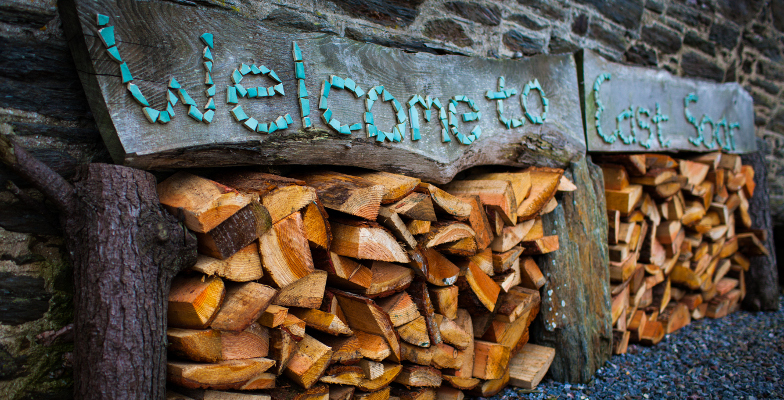 £15 per child (2 and under) per night (including breakfast and dinner). "Magical place....for all those wishing their children to experience camping in a sublime setting and memories that will stay with them perhaps for a lifetime - this is it ! Schalk and Marijke have created something amazing here...!!!!!" PLEASE NOTE: East Soar Outdoor Experience in not a camp site and do not allow any persons to pitch their own tent. We do not allow camper vans, caravans or dogs on our Catered Camping site. 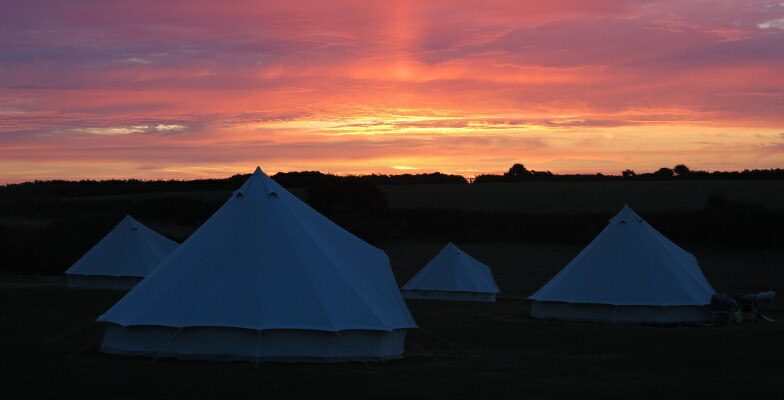 We ask for a minimum two nights booking in our bell tents. Our camping season runs from Easter holidays until end of September. During weddings our bell tents are priced at a different rate, more information about pricing available from our specific wedding packages. Our holiday cottage is on site, adjacent to the main farmhouse. 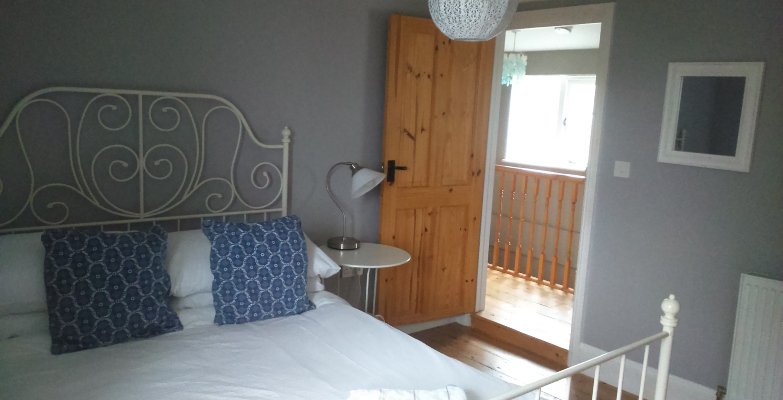 The cottage has three bedrooms, sleeping up to six people. Two of the bedrooms have double beds and the third bedroom bunk beds. A private court yard garden overlooking Bolt Head makes this the ideal location to reconnect to the countryside. Soar Mill Cove (a beautiful hidden cove accessible only by foot) and South Sands are both only short walks away. 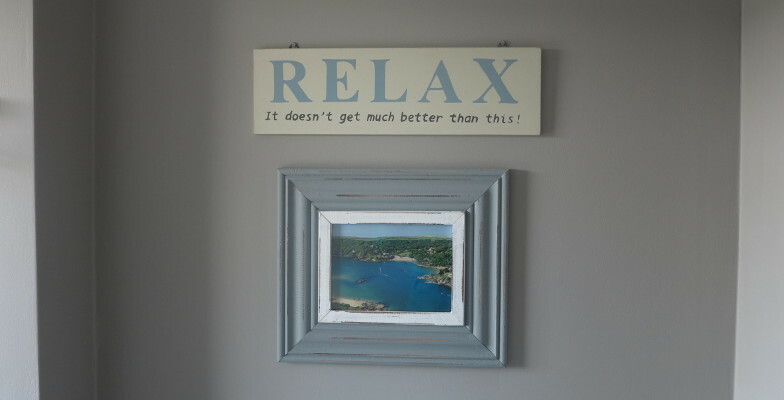 Salcombe is a short drive (less than 10 minutes). Tea, coffee, bath towels and linen are provided. We allow (except for during the summer holidays) one well behaved dog at an extra charge of £25. The bathroom is on the first floor so not ideal for persons needing extra help with stairs. Central heating only available in winter months. 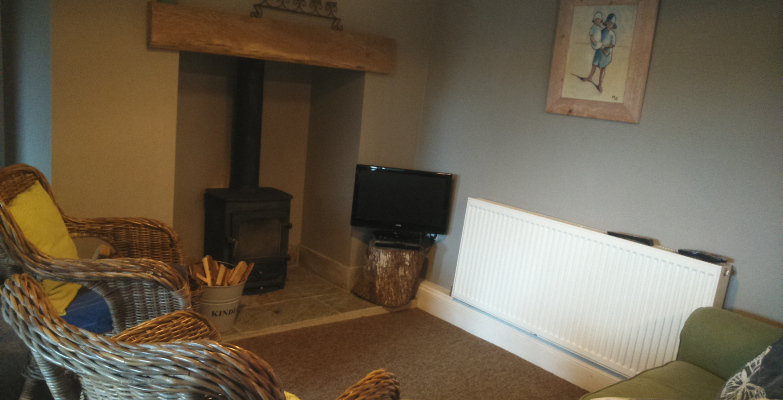 Logs provided year round free of charge for the logburner. 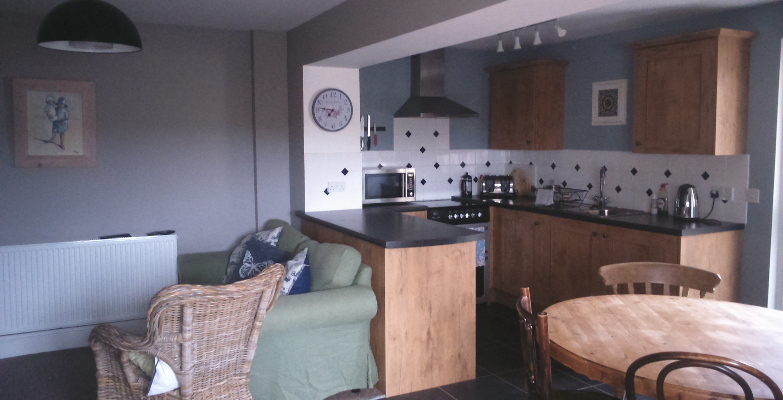 Guest staying in our holiday cottage have the option of eating with our camping guests in the Walkers' Hut. Please enquire on booking for more information. 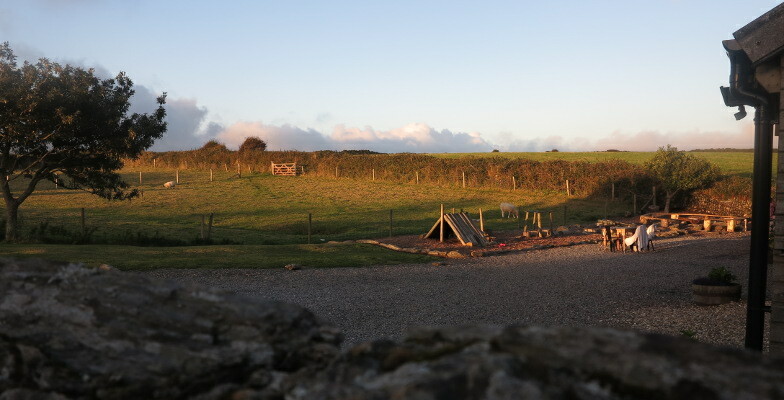 We have a fantastic old barn with spectacular views (overlooking Bolt Head) at the bottom of the farm. Perfect for those who want to get away from it all and reconnect with nature. It is very close to the coastal path and ideal for big groups. It has a fire pit with benches and fire wood can be provided. 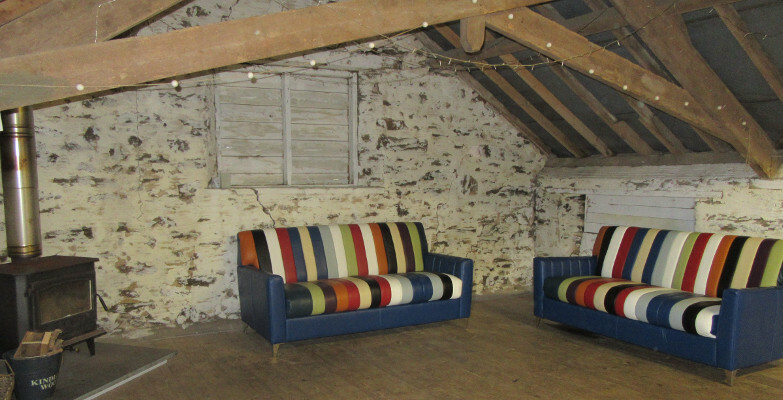 This facility is available as a "wild camping barn" at £400 for up to 20 people for 2 nights. For longer stays please contact us. 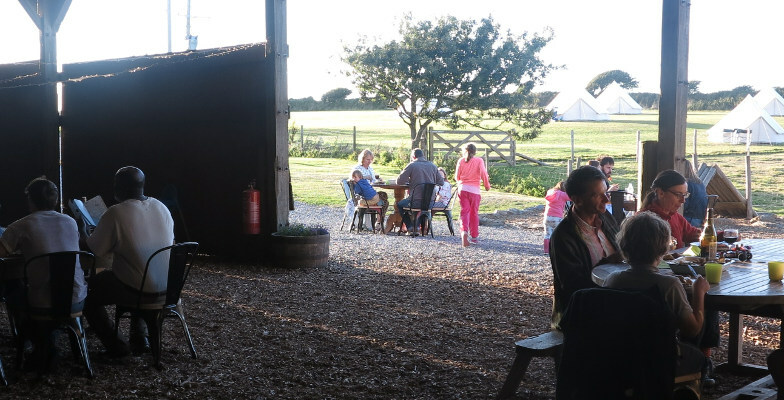 The wild camping barn has no electricity or running water, showers and toilets are available at the main site (approximately 150 meters away). 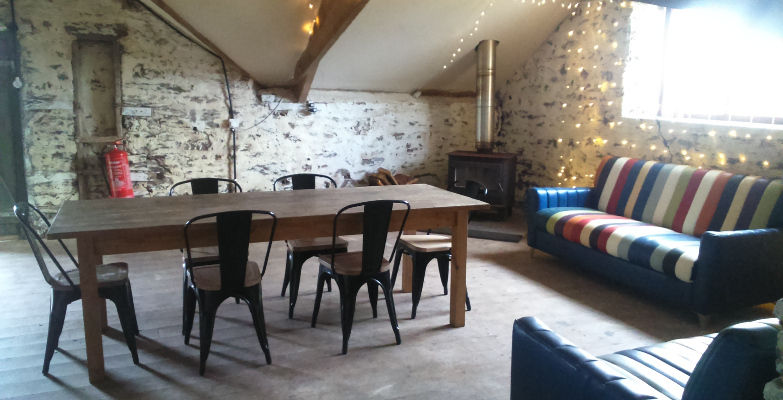 The Swallows nest provides accommodation in the loft of a beautiful stone barn. 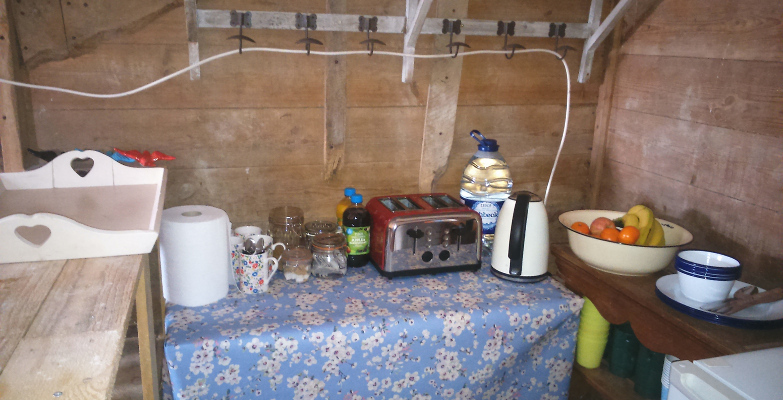 It has electricity, log burner, sofas, table/chairs, kettle (tea/coffee/hot chocolate/milk/sugar provided) and a small fridge. 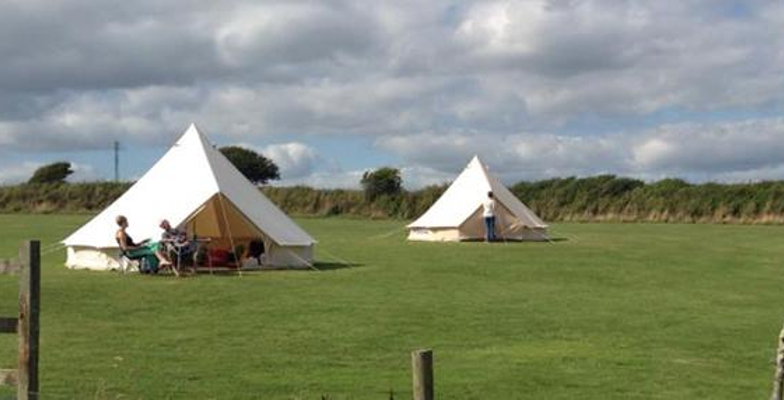 Perfect for groups or families who want to enjoy an outdoor experience with an added bit of luxury. As with our catered camping service half board (breakfast and dinner) is included in the price. Logs are provided free of charge and children are able to join Schalk every morning for animal feeding. As with our catered camping service we supply mattesses (with protectors and fitted sheets), just bring your own bedding and towels. Guests staying in our Swallows nest have use of our ablution block (approximately 100 meters away) with flush toilets and two electric showers. If your child has a SEN statement or recognised equivalent we are now able to offer a 50% discounted rate per child. Please refer to our GIVING BACK section for more details. We offer sole occupancy for groups or families. PLEASE NOTE: We do not allow dogs in our Swallows Nest. 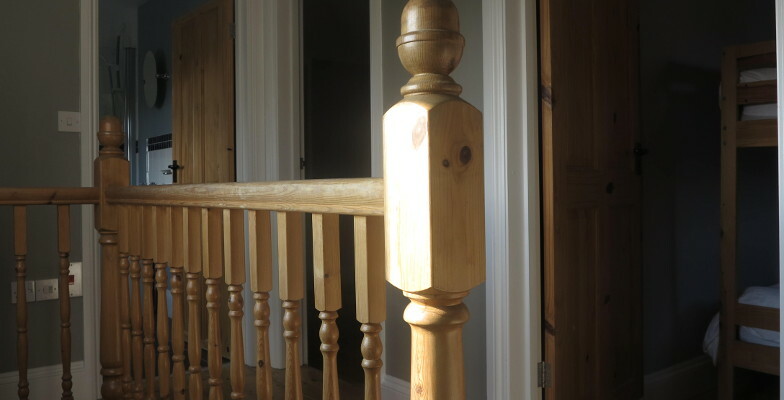 We ask for a minimum of two nights booking in our Swallows Nest. The Swallows Nest has no toilets or shower facilities. Guests have use of our ablution block approximatey 100 meters away.